Went for a wander through the rainforest yesterday, also got a reminder about why it is called rainforest….. about as far away from the car as it was possible to be! Love going on that particular walk because it is never the same, there is always something new to see. It also challenges me photographically. 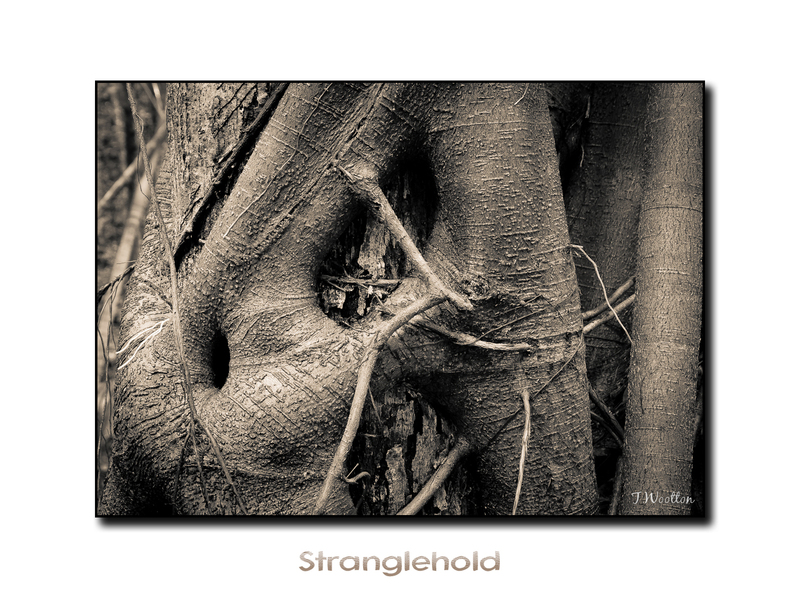 There are some magnificent Strangler Figs that I want to photograph, I walk around them,marvelling at their forms and complex shapes. But I walk on without taking a picture because any photo I take won’t capture their essence. 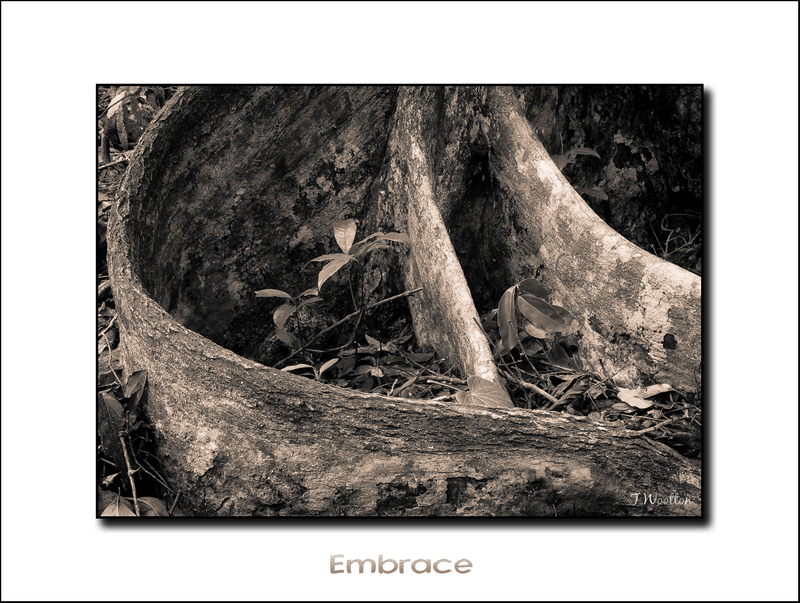 One day, the pieces will fall into place and I will get an image that distills them within a rectangular frame. One thing that always strikes me about rainforest is that it is a battleground and one of the biggest prizes is sunlight. Every plant needs sunlight for survival and growth. This image is my interpretation of the importance on sunlight to the rainforest, hope you like it! Wandering through the rainforest is something I like to do occasionally, the peace and quiet always seems to recharge my batteries! When you start looking closely you realise that the peace and quiet masks a struggle for survival that is incessant and sometimes downright nasty. Sunlight is the name of the game in the rainforest, just about every plant is trying to get as much as it can of a limited resource. Many types of plant like the Strangler Fig will use any means to get to the sun in some cases killing another tree in the process. Nutrients are another resource that are sometimes hard fought for. Plants will go to extrordinary lengths to put down roots and establish themselves in what is often poor, shallow soil. 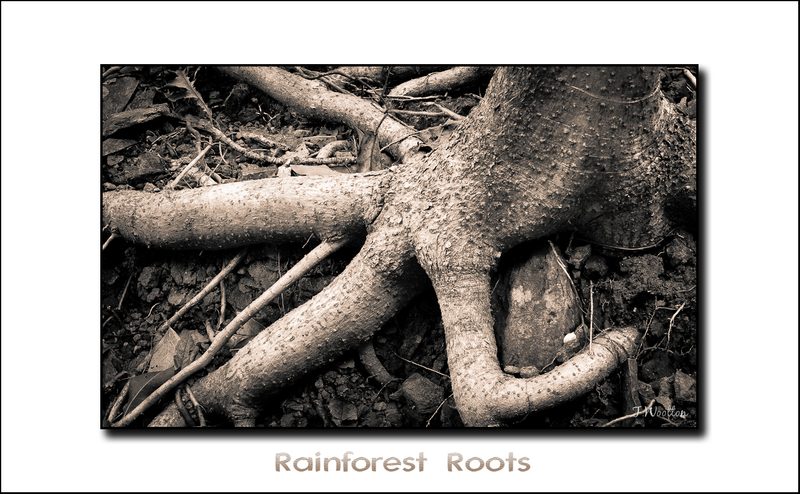 Large rocks split apart by the tenacious roots of a tree that is looking for nutrients is a common sight. Because rain forest is often situated in mountainous areas, larger trees require a root system that will give extra support , so the convoluted buttress root system is favoured by larger trees like Tulip Oak. Taking a camera into the rainforest is often frustrating as you try to capture the myriad of textures,shapes and colours surrounding you. Light levels are usually low, so a tripod is an absolute. Trying to pluck some order from the chaos surrounding you is sometimes difficult but I usually find if you slow down and start looking for the details you usually find some great images. Be prepared to spend a lot longer in the forest than you originally planned! Oh, and don’t forget the repellant!